Located 70km away from the center of Ho Chi Minh City, Cu Chi Tunnel is one of the must-see spots in Phu My shore excursions for cruise passengers. It boasts an immense network of connecting underground tunnels that witnessed several military campaigns during the Vietnam War. 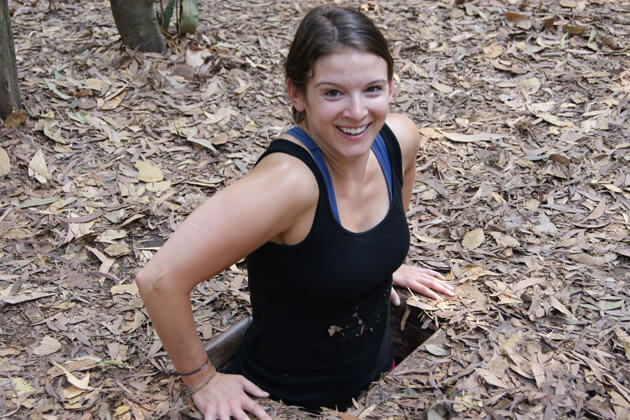 Whether you are a veteran, a war-site enthusiast or just a visitor, you will leave Cu Chi Tunnels with newer and deeper perspectives of the country than you had before. 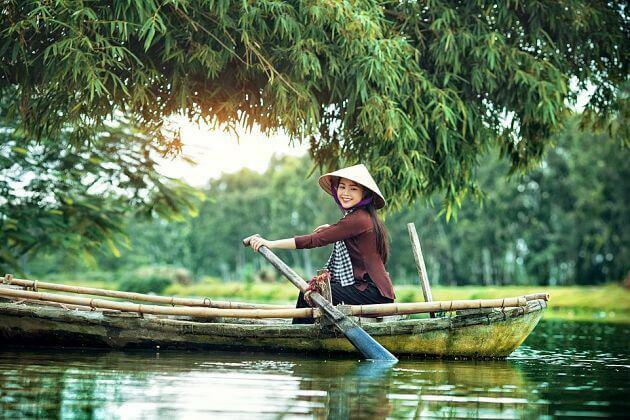 Setting off from cruise port to hop on Ho Chi Minh City shore excursion, we will drive to the famous Cu Chi tunnels, which the Viet Cong set as their operation base for the Tet Offensive in 1968. On our way there, we will pass by the breathtaking scenery of rubber plantations and rice paddies. At Cu Chi, we watch a short introductory video to understand how the tunnels were constructed, before heading to explore the maze of tunnels. Also on display are various mantraps, remains of an American tank and numerous bomb craters made by 500lb bombs dropped down from B52 bombers. 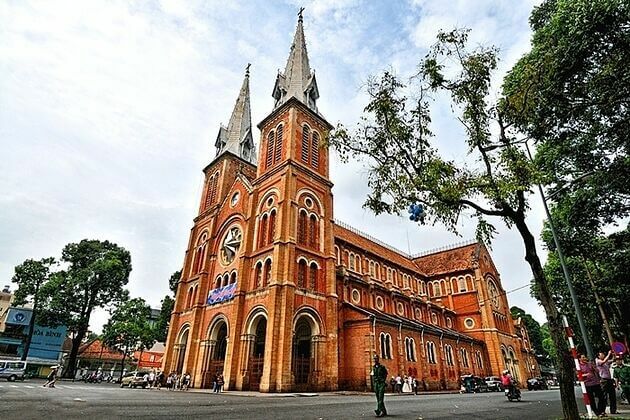 We will then return to Ho Chi Minh City. After our delicious lunch at a good local restaurant, we head to the Reunification Palace, one of the most important buildings in the city before visiting the Notre Dame Cathedral and the Saigon Old Post Office. Designed by Gustave Eiffel and built between 1877 and 1883, the Post Office truly reflects classical French colonial architecture style. 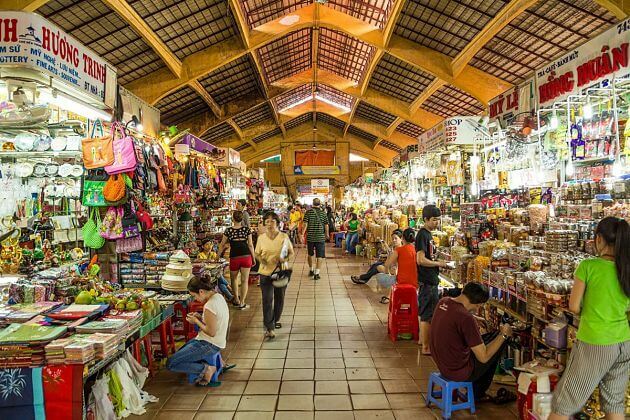 We finish our day with some shopping time at the Ben Thanh Market, a very popular tourist spot mainly due to its rich history and prime location. 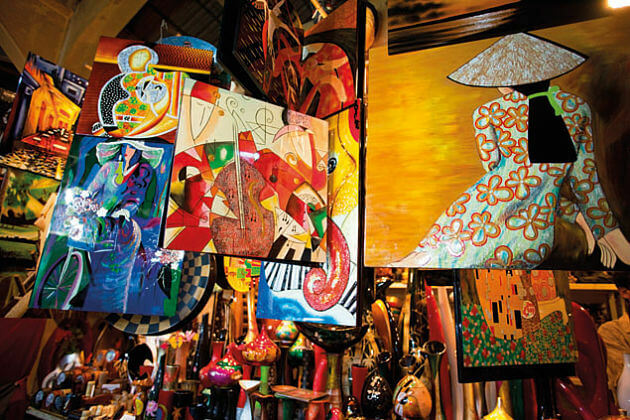 It offers a wide selection of goods ranging from faux Nike shoes to beautiful silk Ao Dai. If time permits, we will have some drinks at the Roof Top [email protected] Hotel before returning to the port in good time for cruising. Your Ho Chi Minh City day trip ends. 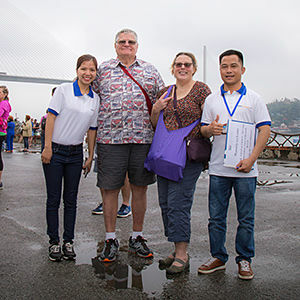 Special Note: The visit to Cu Chi lasts around 5 hours, and with 3 hours for the city, it will be a hectic day-tour starting off from Phu My Port. You can arrange your tour from the Port in Vung Tau if your cruise docks for the whole day and leaves in the evening. Thank you for contacting us. 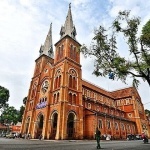 The detailed quotation for Ho Chi Minh shore excursion has been sent to your email. Please have a look at it and let us know if you have any other enquiries. We are going on a Celebrity Cruise next year, leaving from Singapore on November 12, 2017 for 14 days. We will be visiting Ho Chi Minh, Hue, Hong Kong, Manila, Boracay and Kota Kinabalu. 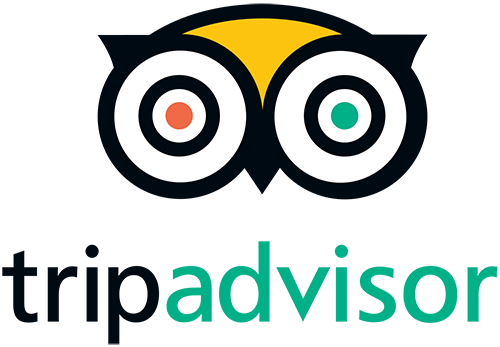 We are interested in some of your shore excursions that I have seen on your website, particularly Ho Chi Minh, Hue and Hong Kong. Can you give us further details, prices, etc. Thank you for letting us know your travel plan. 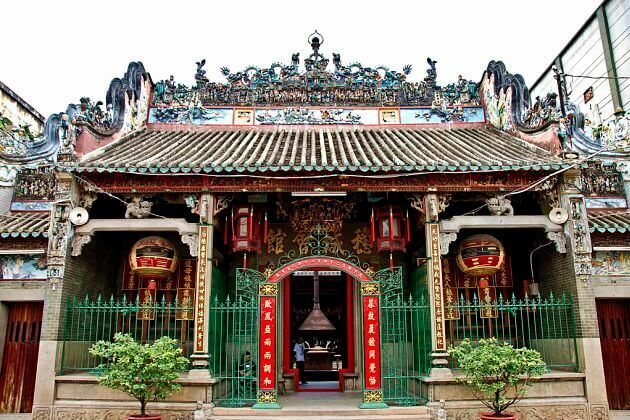 The detailed quotation of Ho Chi Minh, Hue, and Hong Kong shore excursions as your request has been sent to your email address. Please check it and let me know if you have any other enquiries. 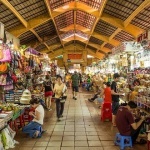 We arrive in Phu My Port on 4th July 2019, Can you give me a price for 2 on the Cu Chi tunnels and Ho Chi Minh City tour. the ship is in port from 6:30am – 6:30 pm. Thanks for reaching to us. 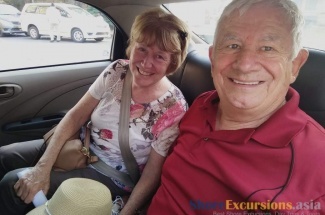 The detailed quotation for 2 on this Ho Chi Minh City shore excursions to Tu Chi Tunnel has been already sent to your email. Please check it. we will be on a cruise with royal caribbean and will be in hue/dadang on april 26,hha trang on april 27 and ho chi minh on april 28.we are a couple.would you please recommend some shore excursions and give me prices.thank you. 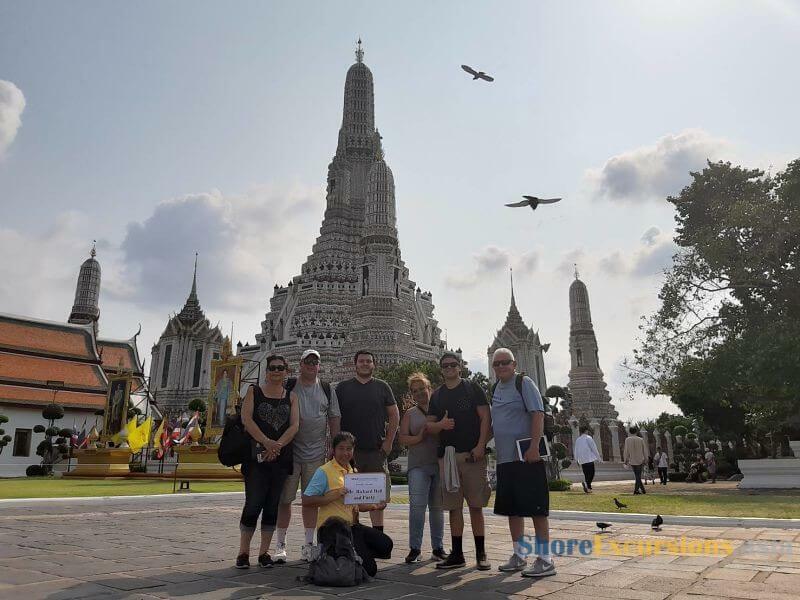 We have a lot of ready-made itineraries for Hue, Da Nang, Nha Trang, and Ho Chi Minh shore excursions on website that you can have a look. For more convenient, check your email for the detailed quotation and information. we arrive in Phu My on 17th. April ( 08.00-18.00) we would really like to visit Ho Chi Minh city and Tunnels . please forward a coach trip which would get us back to the ship on time and give us the best chance of soaking up this fascinating city We are very active senior citizens . 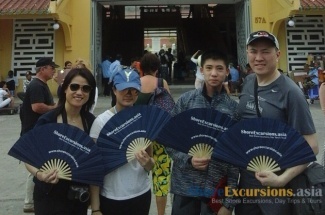 Thanks for your request on Ho Chi Minh day tour to Cu Chi Tunnel. Please check your email for the detailed information.